Stone Paper Scissors aka Rock Paper Scissors is a strategy game, and is one of the most addicting game I've ever played. It's the best past-time one can find, should they find themselves in situations which are terribly boring, for example, while the teacher's teaching different types of grasslands - and where to find 'em. Here are the rules, for those who are new to the game. 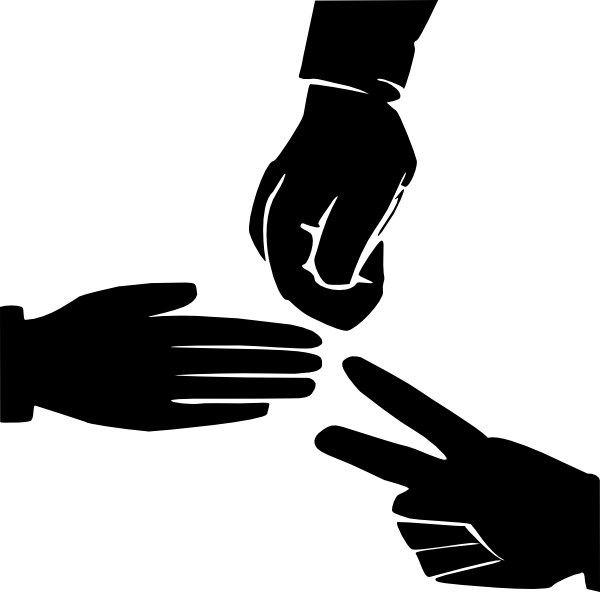 Each player, that is, each of the two player plays with one hand, gloved or ungloved, and chants "Stone-Paper-Scissors", or "Rock-Paper-Scossors" alternatively. When the last word, that is, "Scissors" is yelled, the two players cast out the hand with any one of the stone, the paper, or the scissors. (please don't say "It's a pair of scissors, right!" :-P) It's simple, a scissor cuts the paper, the paper wraps itself round the stone, consequently suffocating it, and the stone breaks the scissors. For each time you beat your opponent, you get one point. What's the best winning strategy? You must not cheat in any form whatsoever, like casting your hand a nanosecond later to have a good idea of what's in the other's mind, is strictly prohibited. What if your opponent has also seen this video? There's no best winning strategy! To be more precise there is no winning strategy... except the one you pointed out (others may call it cheating) ie. casting hand a nanosecond later! @Satvik Golechha I think nanosecond is too small. Millisecond is better! How can you say that there's no winning strategy? Probability of one casting out scissors, or rock or paper depends on the person and so we can't mathematically predict a strategy. Your opponent may be biased towards stone or something else. @Pranjal Jain – I am a stone-paper-scissor champ. No one can defeat me. I have much better ways of winning than waiting a millisecond. Here goes one of them: Wait for your opponent to take a scissor out, and smash it hard with a stone fist. Then in the whole match, they tend to pick scissor very less. @Satvik Golechha – Man!! I accept my defeat!! @Pranjal Jain – D'you still think there are no else winning strategies? @Satvik Golechha – No if you can list some more strategies.